Today, HRC released a powerful new video calling attention to Vice President Mike Pence’s history of failures around HIV and AIDS prevention. In 2003, responding to the HIV and AIDS crisis in sub-saharan Africa, Pence argued for the Bush administration to prioritize abstinence-only education over condom distribution because it would protect the rights of faith-based organizations. Pence followed this up with a call to “send them values that work” as justification for prioritizing abstinence-only education. As governor of Indiana, Pence’s cuts to public health funding helped fuel the worst outbreak of HIV and AIDS in the state’s history. The outbreak in Scott County was enabled by the closure of a local Planned Parenthood clinic, which was the county’s only HIV testing center. As the outbreak of HIV and AIDS spiraled out of control, Pence was “reluctant” to lift a ban on needle exchanges that could mitigate the spread of the virus. After an intervention staged by officials from the Centers for Disease Control (CDC) Pence continued dragging his feet on full implementation for needle exchanges, waiting for a year to sign off on funding, leading to an outbreak in Scott County that included 190 victims of HIV and AIDS. 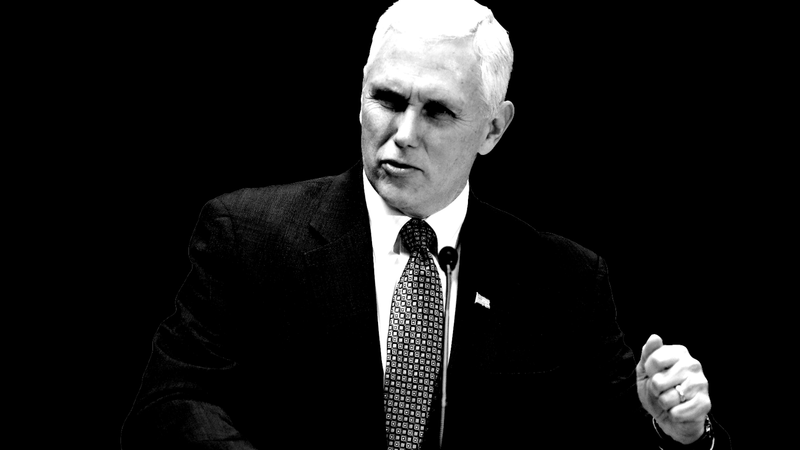 This video is the latest installment of “The Real Mike Pence,” a comprehensive campaign -- including a scathing report and microsite -- exposing the vice president’s career of attacks on LGBTQ people and shining a spotlight on the inordinate influence he and his inner circle wield in the administration. It has never been more important for a nation to know -- really know -- its vice president.